Home Electric Vehicles EV Cars Is the Corbin Sparrow about to be resurrected? Is the Corbin Sparrow about to be resurrected? Mike Corbin is back with the Corbin Sparrow, his jelly-bean like electric motorcycle that looks like a car that escaped from Toon Town. In the mid 1990’s Mike Corbin, famous for his custom motorcycle seats, introduced a car that was actually a motorcycle, that looked like it had escaped from toontown, and had a pure electric drive train. The Corbin Sparrow was a three wheeled enclosed vehicle, somewhat like a car, but was legally a motorcycle because it had three wheels. The Sparrow engendered either ridicule or gushing praise depending on ones style preferences. At one time the company had a long waiting list of unfilled orders, but folded in 2004 amid financial troubles at the company. Today Mike Corbin see’s this is the best time for what Corbin says was his “best idea” to take flight. One might scratch their head over why a man who’s famous for manufacturing custom seats for Harley-Davidson motorcycles would want to build an electric vehicle. However those who know their history, know that Mike Corbin built and raced with electric motorcycles in the 1970’s. Clearly this is a man whose interest in electric vehicles goes back a ways. The original Corbin Sparrow design was a three wheeled vehicle in the reverse-trike configuration (two wheels in front, one in the rear). The 156 volt DC drive train had an electric motor mounted under the passenger cabin, with a belt driving the rear wheel. The jelly-bean-like body was made of fiberglass, and could be built in all sorts of colors. It being the 1990’s, advanced batteries weren’t available, so it used a lead-acid battery pack consisting of 13 Optima Yellow-Top batteries. It had a 25 mile or so range, and could travel at up to 75 miles/hr. The passenger cabin held one person, and there was a small storage compartment in the rear. Nearly 300 of the original Sparrow’s were sold, and most of them are still on the road today. Today a company in Ohio, Myers Motors, is selling these vehicles under the name “NmG” (No More Gas), and has designed a two passenger version called the DUO (Doesn’t Use Oil). Myers has claimed several times the DUO would go into production “soon” without ever actually doing so. Enough of the history, what about the resurrection of the Sparrow? The new vehicle is to be called the Sparrow 2, and is described as a “Personal Transport Module”. The specifications are incomplete as the vehicle is still in development, but it’s clearly more than just a rehash of the original Sparrow. What we see on the Sparrow Motors website is a modern drive train and battery pack design. The new drive train is still belt driven, uses an AC motor, and is attached at the rear of the vehicle as in the original Sparrow. Rather than lead-acid batteries the Sparrow 2 will use a lithium battery pack, of course. The website shows pictures of the new drive train mounted on an original Sparrow, which they’ll use for testing and validation. Once the new Sparrow 2 prototype body is ready, they will transplant the new drive train for testing the full vehicle. 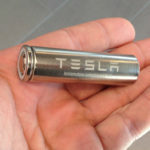 The company is getting assistance from Manzanita Micro, an electric vehicle components supplier from Washington State. Once they’ve validated the full vehicle is worthy of production, they’ll do so. The new Sparrow 2 body design appears to be largely the same as the original Sparrow, but with a longer nose. 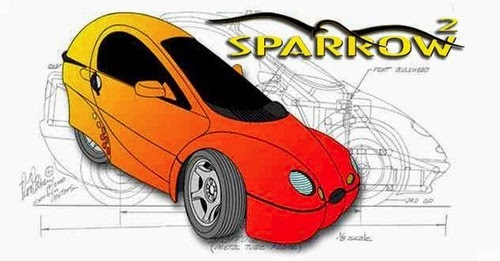 While the lines may be a little different, the Sparrow 2 is still a single passenger three wheeler, with a modest storage area in the back, built out of some sort of composite material, and looking like a jelly-bean escaped from toontown. For those of us who want a vehicle like this, we’re jumping up and down in excitement. It’s clearly too early in the Sparrow 2 development, however, to tell what the final design and specs will be, or even to gauge whether Mike Corbin can pull it off this time and actually get the thing into production. This plan seems straight-forward, and given that Corbin is modifying a design he’s already built it seems reasonable to believe the Sparrow 2 could go into production in a short period of time. 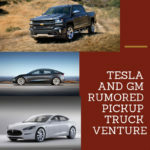 But the website doesn’t give details of when to expect we can see a prototype vehicle on the road, much less actual production and sales to customers. Because the Sparrow 2 is technically a motorcycle the cost for launching this vehicle will be far less than if it were a four-wheeler. Motorcycles for example do not require crash testing. This will reduce the cost for launching the company from astronomical to simply “a lot”. 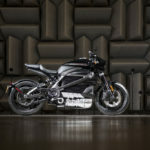 Several electric motorcycle companies have successfully launched in recent years, perhaps Sparrow Motors will be another. Will Sparrow Motors be successful? There’s a lot of if’s to consider. Especially given the recent demise of Aptera, another startup with a three wheeled vehicle design. A lot depends on the yardstick used to measure success. The company could structure itself to produce a modest number of Sparrow 2’s a year and still be profitable. It could be successful as a company, on a small production volume, but not make much impact in the grand scheme of things. Some say a vehicle like the Sparrow 2 is far too outside-the-box to be popular, and will only attract a niche following. This may be true, but does that mean the Sparrow 2 shouldn’t go into production? No. If Sparrow Motors can size itself properly to be profitable serving a specific niche, more power to them! Where a single passenger vehicle like this fits into the continuum of transportation is in crowded urban areas. As a single passenger vehicle it will do nothing to help relieve traffic congestion problems. However its small size would help to solve a different congestion problem. Namely, parking congestion. Those solo commuters each driving their car downtown take up a lot of land in parking lots, and because the Sparrow 2 design is smaller you can fit more of them into the same acreage devoted to parking. That is, if there were massive enough adoption of vehicles like the Sparrow 2 to make a difference in parking lot congestion. As the company website says, “Our intention is not to replace the family passenger vehicle, but rather supplement it when single passenger transportation is needed.” The company estimates that 90% of commuters are driving solo. Corbin Motors, Corbin Sparrow. Bookmark.